Software plays an increasingly vital role in our everyday lives. It powers everything from autonomous cars and aircraft, life-saving medical equipment, and the data that allows the government to protect our country. When companies develop software, there’s no room for error. That’s why software predictive analysis and estimation are still extremely important. Last year, with the release of the 2016 Software Almanac, we learned that the last 35 years of predictive analytics and estimation principles were still incredibly relevant for providing reliable and applicable business intelligence for implementing successful software projects. No one said IT budgeting was easy. It seems like you just finished last year’s budget and now it is time to start all over again. Not only is this task difficult, it is made worse by the fact that most organizations do it in an overly simplistic way. This often results in up to 40% of the projects grossly missing the mark, which wreaks havoc on the enterprise resource plans and results in disappointed business stakeholders. A large part of successful IT budget planning is identifying grossly unrealistic projects – the ones that are likely to fail and the ones that are ultra conservative and wasteful. Our solution is to perform a basic feasibility assessment on each project as it enters the budgeting process. Ultimately, we will want to make adjustments to these projects, making them more reasonable and improving the overall project performance. So how is this feasibility assessment done? 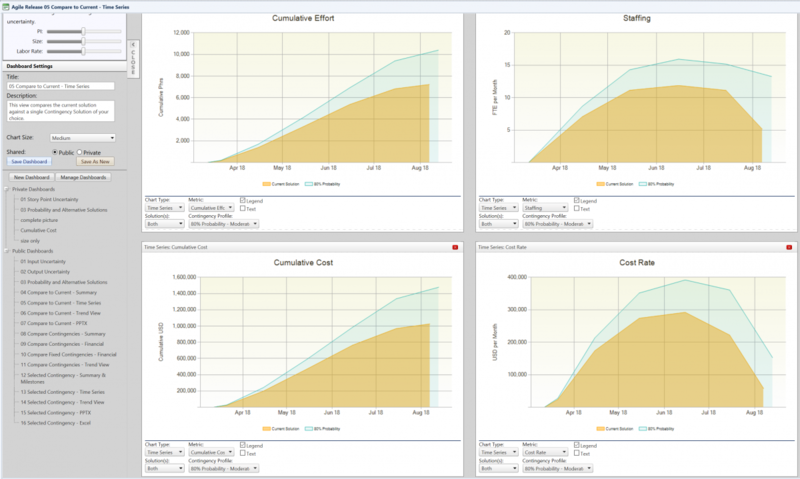 Start by creating a set of historical trend lines for schedule, effort, and staffing versus size of functionality produced. The trend lines provide a basis for the average capability that could be expected. It also gives us a measure of the typical variability that can be expected. Next, position the initial budget requests against the trend lines. The intention is to identify whether or not the projects are outside of the norm and typical variation; i.e., projects that are high risk or poor value. Figures 1 through 3 highlight some of the techniques used to identify those types of projects. Let’s face it -- times have changed since the initial principles of predictive analytics and software estimation were established. Today more than ever, we live in a time where there is an incredible dependence on software – it is the cornerstone of almost every business. Risk management and cyber vulnerabilities are now major concerns that weren’t even on the radar decades ago. 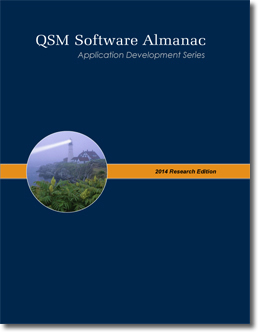 It is no coincidence that this year’s release of the 2014 QSM Software Almanac has been coined the Research Edition. The data, research, insights, analysis and trends packed into the 200+ page book truly make it the ultimate resource for software development and estimation. That said, I thought I’d share just a few of the highlights from this year’s Almanac as a little teaser to what you’ll find when you download the full (and free) resource. After many months of research, I’m pleased to announce that today QSM has released the 2014 version of its Software Almanac. A follow-up to the previous version released in 2006, this 200+ page book includes more than 20 articles on topics such as metrics, agile methodology, long term planning, and trends in software development. The Almanac is one of the few research compendiums that studies how software development has evolved since 1980. The source of this research is the QSM Metrics Database, which contains data from over 10,000 completed software projects from North and South America, Australia, Europe, Africa, and Asia, representing over 740 million lines of code, 600+ development languages, and 105,833 person years of effort. 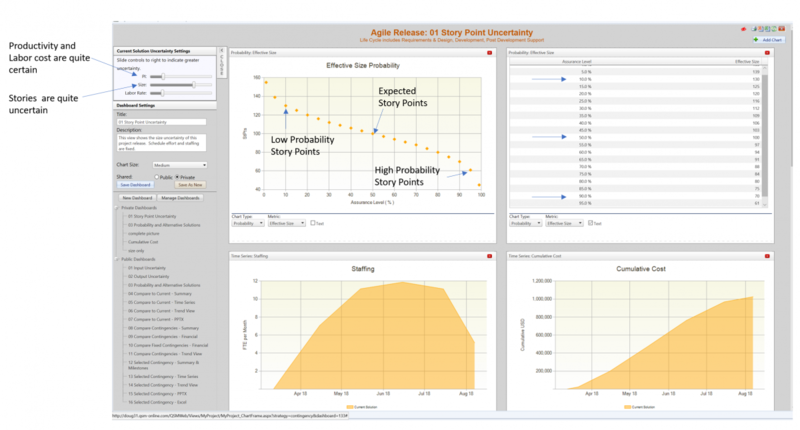 The field of software development has long focused on finding predictable and repeatable processes that improve quality and productivity, which is why many organizations are taking an interest in agile methodology. As such, this year’s Almanac focuses on this topic, which has generated increased interest since the 2006 release. Specifically, it takes a close look at projects that have been based on agile methodologies and successfully completed within the past five years.